Red Dead Online’s opening sequence is a great way to get players into the online wild west. The intro is made up of cutscenes, missions and tutorials. It feels more focused than GTA Online’s introduction, and overall it seems like Rockstar has learned from GTA Online’s introduction. I took a look at both games’ opening hour to see how they compare. The biggest difference is the narrative setup. 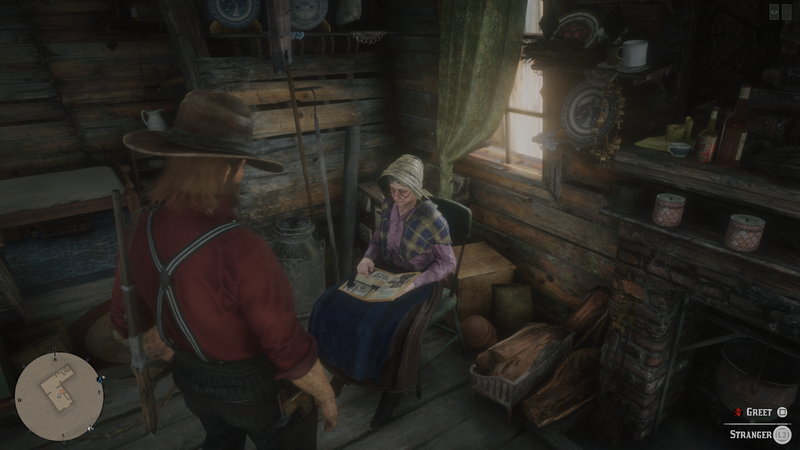 Red Dead Online spends a lot of time in the first hour telling the story of a woman who was wronged and how your character is going to help her get revenge on the bastards. These same bastards also got you thrown in jail. After the woman’s associate saves the player from a paddy wagon, you’re then given a series of missions and tasks that help get you acclimated to Red Dead Online. These missions also help expand and move the narrative forward. It’s a simple but engaging revenge story. In GTA Online, the narrative reasons your character is in Los Santos are almost non-existent. Lamar, a character from the main story of GTA V, is friends with the player character in GTA Online and finally invites them to Los Santos. You jump in his car, he hands you a pistol and then you start doing crime. Over the course of multiple updates and expansions, GTA Online added more interesting and fun stories, but the basic setup at the very start is so barebones it might as well not exist. That said, I love Lamar, so any chance to get more Lamar is fine with me. While some players might prefer being dumped into the action right away, I appreciate the time Rockstar took with Red Dead Online to build a story to support the online mayhem. GTA Online and Red Dead Online go in very different directions when giving players their first mission. RDO tasks players with taking out a bandit camp, which can spawn in a few different areas. After taking down the bandits, the player is given a treasure map and told to track down the treasure chest to earn a reward. The mission is a simple and effective way of teaching the player how to shoot, ride a horse, deal with enemies and track things down. It also has players decide between killing or sparing a bandit in a tent, showing players how moral choices in the game will work. The entire mission is also single-player only, which allows players more time to get comfortable with the game before being dumped into an active lobby. 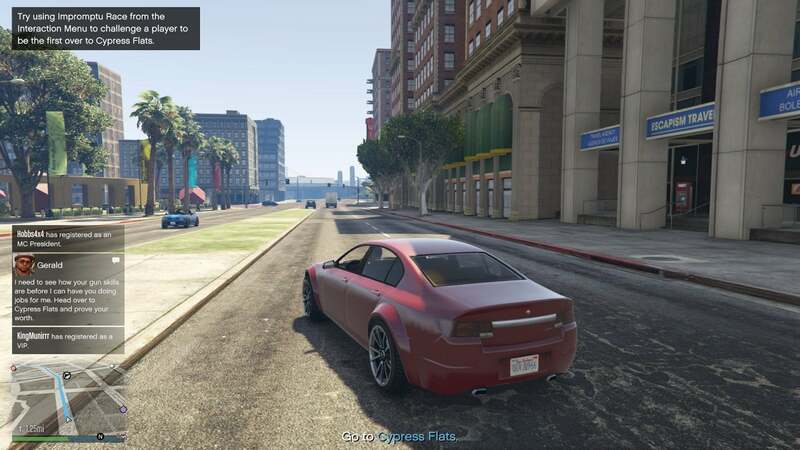 GTA Online’s first mission is an online multiplayer race that also includes Lamar. It’s not a great way to introduce the world of GTA Online. RDO allows players to explore as they head towards the bandit camp and attack it how they wish, and they can find the chest at their own pace too. GTA Online instead immediately throws the player into a car, surrounded by other players, and points at a finish line. Right after the race, players take their new car and head towards an alley underneath a bridge, where they attack some gang members and grab some drugs. This second mission might have made a better first mission since it doesn’t force players to instantly interact with random players. It gives players the chance to explore the world at their own pace, the way RDO does. Red Dead Online guides players through the first mission right into the second mission, which is a co-op mission where players work alongside others to steal some horses. It’s a fairly simple mission, but it’s a good way to get players together without them being able to quickly kill each other. Since the first time you interact with other players in Red Dead Online is during a co-op mission that forces everyone to work together, it feels like Rockstar is trying to guide players towards being cooperative. GTA Online is a very different experience. After dropping off the drugs you stole, the game puts you in a lobby with other players. At this point you are now able to be killed by the fine residents of GTA Online. That’s what happened to me: After Lamar suggested I buy some new clothes, I headed towards a clothing shop. On my way there another player in a jetbike shot and killed me. I’ve played GTA Online for years, so I know how deadly and annoying public lobbies can be, but I wondered how a totally new player might feel. My guess is they wouldn’t be very happy and would probably feel frustrated. It might also make them less trustworthy of random players, which might make them more trigger happy. 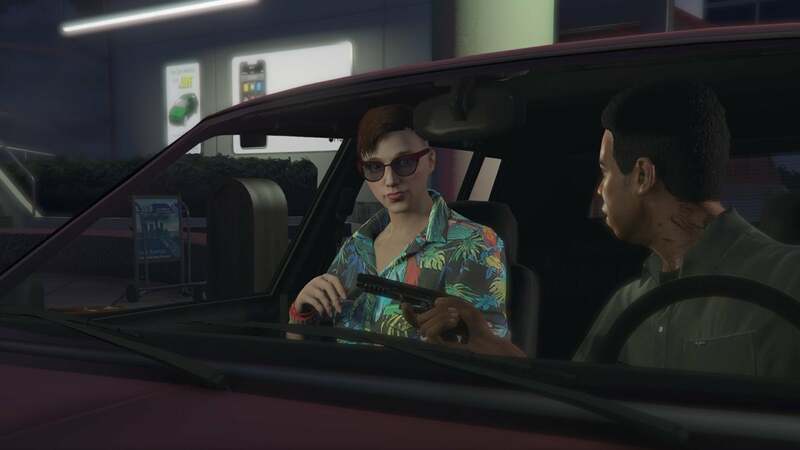 A lot of the missions and events in GTA Online don’t take place in the lobby, so new players won’t have to constantly deal with random jerks. 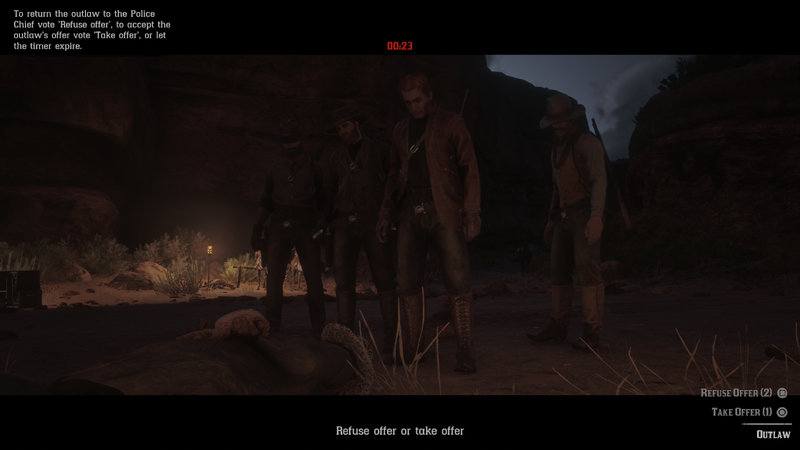 Still, RDO feels like a much better way to handle bringing players together. After finishing the first few missions and tasks in Red Dead Online the game opens up more, puts you into a populated lobby and also gives you three missions to complete. You can ignore these and do some PVP or racing, or rush to complete them and then go hunting. The missions can also be done in any order. It’s a great way to set up the world of Red Dead Online and give players freedom to explore and go at their own pace, while making sure they don’t get lost or overwhelmed. GTA Online does a terrible job of handling what players do after the first few missions. Part of the problem is that GTA Online has a ton of content that wasn’t around when it first launched. Booting up GTA Online now as a new player means jumping into a world that has been updated and expanded on for years. All of that stuff pops up on your phone and HUD. Within the first two hours I had seen so many popup messages telling me about new guns, radio stations, missions, events and more that even as a veteran player I felt a bit overwhelmed. I imagine it would be much worse for a totally new player. Frustratingly, you can’t ignore these messages, because sprinkled between the popups about new arena war events and new cars are actual tutorial messages. Some of these explain how different game systems work or how different menus are accessed. 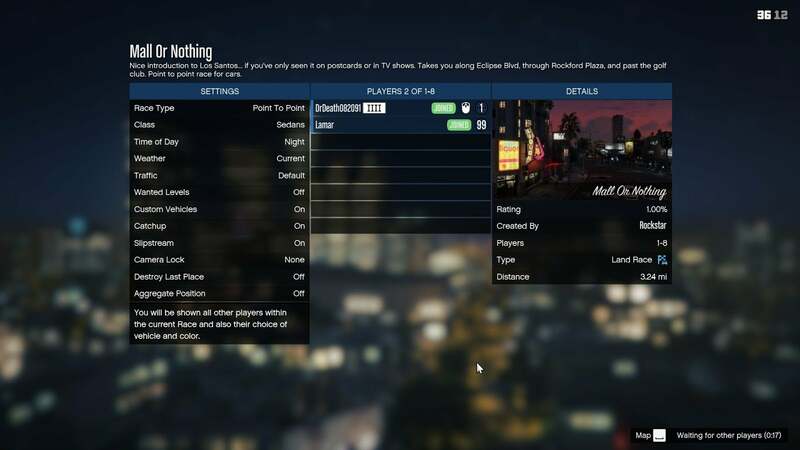 Unlike RDO, which presents players with three missions to try out, GTA Online instead calls the player at various times to tell them about new side activities or missions. You have to drive around, dodging other players, waiting for Lamar or Simeon to call you and tell you what to do next. The entire experience feels incredibly messy when compared to Red Dead Online’s more streamlined, focused and well-paced introduction. Grand Theft Auto Online was Rockstar’s first real attempt at making a complete online experience, and it was a huge success for them. But looking back, it’s surprising how rough the opening of GTA Online feels today. Where GTA Online’s intro is a fast crash into the world, Red Dead Online takes more time to ease the player into the story, the game and the community. As a result, RDO feels easier to start and ends up making a better first impression.